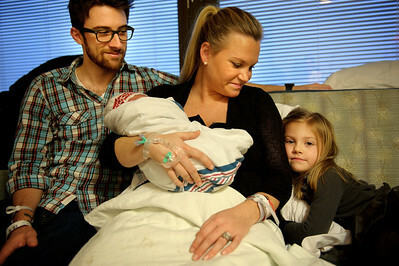 Daniel J. Murphy - dmurphy@shawmedia.com Betheny Florek (center) holds her newly born son Welles Florek at Advocate Good Shepard Hospital Sunday January 1, 2012 in Barrington. 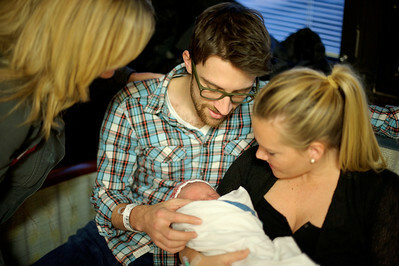 Welles Florek was born at 1:28 AM on New Years day and appears to be the first baby of 2012 in the McHenry Country area. Also pictured John Florek (left) and Rowen Florek, 4, (right). Daniel J. Murphy - dmurphy@shawmedia.com Betheny Florek (right) and John Florek (center) of Crystal Lake hold their newly born son Welles Florek for grandmother Kelly Florek of Volo, IL at Advocate Good Shepard Hospital Sunday January 1, 2012 in Barrington. Welles Florek was born at 1:28 AM on New Years day and appears to be the first baby of 2012 in the McHenry Country area. Daniel J. Murphy - dmurphy@shawmedia.com Kelly Florek of Volo, IL holds her newly born grandson Welles Florek at Advocate Good Shepard Hospital Sunday January 1, 2012 in Barrington. Welles Florek was born at 1:28 AM on New Years day and appears to be the first baby of 2012 in the McHenry Country area. Kelly Florek of Volo, IL holds her newly born grandson Welles Florek at Advocate Good Shepard Hospital Sunday January 1, 2012 in Barrington. Welles Florek was born at 1:28 AM on New Years day and appears to be the first baby of 2012 in the McHenry Country area.